Girls can choose between Purple Twirl and Pink Paisley kits that unravel 6 feet of shiny chain and 6 reversible pretty patterned clips. They can hang up the chain any way they want, and then use the clips to hang up anything that inspires them. From photographs, magazine clippings, notes, posters, t-shirts, or anything else they can dream of. The Picture Perfect Pin-Ups let girls change their look as often as they change their mind! Sugar Lulu encourages girls to express their creativity, individuality and style, and gives them the chance to decorate their room with a festive flare! This holiday season girls can get inspiration for the perfect items to keep, give and share by watching Sugar Lulu’s Holiday DIY video at www.SugarLulu.com! These outrageously hilarious games feature classics such as Fortune Teller, M.A.S.H., This or That and Truth or Dare. Girls will find out more than they’d ever imagined about their BFFS! Packaged in cool, collectible tins with everything needed to play the game right inside. These games are great for travel, sleepovers, parties, and make amazing stocking stuffers for the holidays! Girls can unlock secrets of the future and ask their friends the questions they’ve been dying to ask with Fortune Teller. With M.A.S.H., girls can find out if their destinies will be magical, amazing, super or hilariously horrible. There’s only one very important rule to playing This or That...you must choose an answer. With mind-boggling questions that are sometimes ridiculous, sometimes disgusting and always hilariously fun, girls will find out the most shocking truth about their friends when they play this game. From secret-keepers to thrill-seekers, nobody is safe with the game of Truth or Dare. There are no winners or losers, just a lot of silly, crazy and hilarious fun! The Sugar Lulu Design Your Own Jewelry Kits encourage girls to express their creativity, individuality, and style through the unique designs that they create. Girls can design each charm the way they want and then wear the jewelry in lots of different ways (check out www.sugarlulu.com to see the latest jewelry video). It’s so fun and easy…just layer the background sticker first, collage your own design, and then seal it with a sticky bubble topper. It’s that simple, and the results are beautiful! 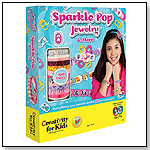 The Jewelry Kits include everything girls need to create their one-of-a-kind designs all packed in a pretty patterned collectible tin. The kits include: Charm Necklace Kit, Charm Bracelet Kit, BFF Rings Kit and BFF Pet Charm Kit. The best part about Sugar Lulu Jewelry is that it doesn’t have to stop with just one kit. Girls can get more charms and rings by going to the fully stocked in-store display where each piece is sold separately. It allows girls to continue to add to their collection of one-of-a-kind designs. Every piece is uniquely engraved so that both sides of the jewelry are special. Sugar Lulu Jewelry is not only something a tween/teen will want to make, it’s something they will love to wear and share! — Priscilla Moore, owner of Mr. Fub’s Party/Toys and More in Yellow Springs, Ohio, told TDmonthly in an October 2014 survey that Sugar Lulu was their store's best-selling brand of jewelry and accessories. Spanish for "little armored one" the ARMADILLO puppet is a ball of fun! Featuring a “plated” shell fabric and leathered-looking skin, you can animate all four legs and the head. When he’s feeling shy, roll him into his shell using the hook and loop fasteners. Born with brown spots as protective camouflage, the MOUNTAIN LION CUB is well suited for a solitary existence. The puppet, however, is too adorable to resist with its sweet expressive eyes. Imagine it mewing for attention with its movable mouth and you’ll want to adopt this big cat baby as your own! The DRAGON IN TURRET is the latest pop-up from the magic makers at Folkmanis® Puppets. King of this castle is a lively baby dragon with colorful metallic accents. Movable mouth and arms come to life as you imagine your own fairytale. Fantasy play just got more entertaining with the Folkmanis® WINGED DRAGON puppet. Fierce and bold, this green flying reptile is a handful of fun. Create your own fairytale by animating the mouth and wings of this magical beast. — Mary Porter, owner of Curiosity Zone in Ashburn, Va., told TDmonthly in an April 2015 survey that Folkmanis puppets are one of her store's top-two best-selling infant & toddler toys. 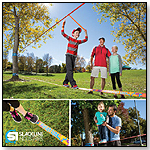 — In a June 2015 survey, three out of 10 retailers told TDmonthly that Folkmanis was their best-selling puppet brand. Our Earth Science kits are guaranteed to bring out the geologist in everyone! Each kit includes rock specimens, an educational booklet and other accessories for learning fun. Aurora's® My Little Pony collection is getting a sparkling new design in 2015! The new ponies feature styles, brush-able hair with mylar highlights that make them sparkle. With already 40+ styles in the collection, the 12 new additions in best-selling 6.5" and for the first time in 13" sizes are a must have for retailers in 2015. Also, don't forget that these amazing new additions complement an already popular and award-winning Aurora sculpted hair My Little Pony collection. Raggedy AnnTM is celebrating her 100th birthday in 2015! As one of the most classic and beloved dolls in American history this will be some kind of party! To celebrate, all Aurora® Raggedy AnnTM & Raggedy AndyTM dolls in 2015 will include a limited edition 100th Anniversary hangtag that is sure to continue the legacy of these iconic dolls as well as new special 2015 anniversary doll editions that will be introduced throughout the year. The 60-piece Trailblazer set with 4-6-0 locomotive lets you experience all the excitement of the Iron Horse’s journeys through the crossroads of railroading history! This ready-to-run train set includes 4-6-0 steam locomotive with operating headlight, box car, gondola, single-dome tank car, old-time caboose, 34" x 24" oval of snap-fit E-Z Track® (16 pieces), train station, 24 railroad and street signs, 12 telephone poles, power pack and speed controller. The Ringmaster ready-to-run train set will command your attention and let you know the Ringling Brothers and Barnum & Bailey® Circus is coming to town! This ready-to-run train set includes Ringling Bros. and Barnum & Bailey™ 0-6-0 steam locomotive with operating headlight and tender, performers’ car, water tank car, horse stock car, caboose, 47" x 38" oval of snap-fit E-Z Track® (14 pieces), power pack, and speed controller. With the roar of its mighty motor and a blast of its horn, the Thunder Chief announces its arrival. Commanding the attention of one and all, there is no missing the excitement of the Thunder Chief storming into the station. Featuring a DCC sound-equipped F7-A with a diesel sound package that includes prototypical prime mover, three air horns, and bell–all in polyphonic 16-bit sound that you can control with our E-Z Command® digital control system. This digitally controlled train set with sound features DCC sound-equipped F7-A diesel locomotive, 40’ box car, three-dome tank car, off-center caboose, E-Z Command® Control Center with wall pack and plug-in wiring, and 56" x 38" oval of snap-fit nickel silver E-Z Track® (16 pieces). A whistle echoes through the walls of a deep valley as you hear the unmistakable chuffing of a classic steam locomotive approaching. The Echo Valley Express is steaming ahead with carloads of coal to fuel America’s hungry furnaces. It features a DCC sound-equipped Baldwin 2-6-0 with a steam sound package that includes authentic prototypical chuff, short and long whistles, bell, air compressor, and blower–all in polyphonic 16-bit sound that you can control with our E-Z Command® digital control system. This digitally controlled train set with sound features DCC sound-equipped 2-6-0 steam locomotive with tender and operating headlight, gondola, quad hopper, off-center caboose, E-Z Command® Control Center with wall pack and plug-in wiring, and 56" x 38" oval of snap-fit nickel silver E-Z Track® (16 pieces). Sporting a merry hat and equipped with a snow plow, Thomas is ready to brave the winter weather to make sure the Christmas tree and important cargo arrive on time for the Island of Sodor holiday party. The festive Thomas’ Christmas Express will deliver Yuletide fun to children of all ages! This ready-to-run train set includes Thomas the Tank EngineTM with plow, holiday hat, and moving eyes and three cars with international-style hook and loop couplers—Open Wagon with decorated tree, Flat Car with Crated Load and “Merry Christmas” Ventilated Van—56" x 38" oval of snap-fit E-Z Track® (16 pieces), power pack and speed controller. The Jingle Bell Express rushes last-minute wishes from the North Pole to homes around the world. Decked out in red and green and carrying a sweet cargo of holiday treats, the Jingle Bell Express will deliver merry dreams around your Christmas tree for years to come. This ready-to-run train set includes 0-6-0 steam locomotive with operating headlight and tender, four festive cars, 47" x 38" oval of snap-fit E-Z Track® (14 pieces), power pack, and speed controller.